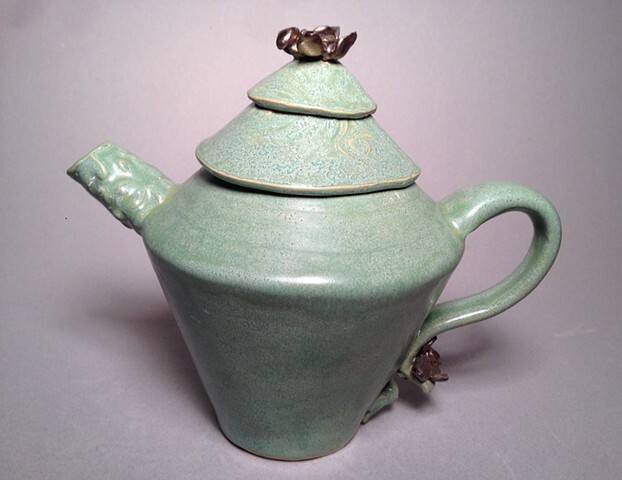 This beautifully functional teapot was built from a textured slab of clay and then the special touches were added. It is microwaveable and dishwasher safe. This is the perfect teapot for relaxing with your favorite afternoon tea and snacks.